2-Martha Walker was born on 12 Nov 1854 in Hagley, Tasmania and died on 6 Dec 1939 in Deloraine, Tasmania at age 85. 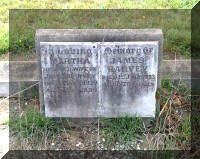 Martha married James Harvey, son of James Harvey and Jane Smellie, on 27 Apr 1885 in Family home at Exton, Tasmania. James was born on 1 Jan 1855 in Cambusnethan, Lanark, Scotland and died on 1 Jul 1933 in Deloraine, Tasmania at age 78. Martha was born just over two weeks before Michael and Sarah's 20th wedding anniversary. As the youngest daughter Martha was expected to stay at home to care for her parents. The family was comfortably off, and as by then her mother was an invalid she seems to have been quite happy to keep house and cook and generally care. One Sunday morning when Martha was 29 and had, as usual, stayed home to cook the roast dinner, her father brought with him the visiting preacher. He was James Harvey "with black hair and beard, and blue eyes and a magical voice". It was love at first sight for James and Martha. Within six months they approached her father for his permission to marry. Somewhat surprisingly, since Sarah had been bedridden for three years, approval was given. After what was, for those days, a very short courtship they were married within a year of their first meeting. The marriage was celebrated in the family home at Exton on 27th April, 1885. James was said to be the grandson of a Scottish Earl. His father married Jane Smellie who died a few months after the birth of their third child, Mary. Some six months later his father married his housekeeper, Janet Brownlie and they migrated to Tasmania. Mary had died from TB and the family of four left on the Indiana which arrived in Launceston on 24 April 1860. 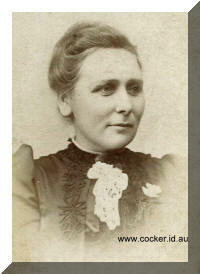 The first child to James and Janet, Elizabeth, was born at sea on 14 Feb 1860. Thus James senior, Janet, James, Alexander and Elizabeth arrived. The story is told of James being told to address his stepmother as 'Mother'. His reply was "I will no call her Mither. She is no my Mitherl!" Despite this early resistance he grew to love and respect her. Also on board the Indiana on the same voyage to Launceston from Scotland were William Swanston Young, Sarah Oliver and their three children. Grandchildren of the Young's and Harvey's would marry in 1921. At the time of his marriage James had, since 1883, been running a prosperous pig farm at Early Rises, a property at Black Hills, behind Osmaston on the Quamby Brook Road, and it was to this home that James took his new bride. James was a capable lay preacher with a love of reciting long passages from the Bible and Shakespeare, but he also had a volatile, impetuous and sometimes querulous temperament. He often bought things impulsively, such as the time he went to buy seed and stock for he farm, but instead returned triumphantly with a new 'carriage and pair'. Martha must have been sorely tried on such occasions, as from all accounts he was not always practical and it was her steadiness which kept things going, despite her frequent childbearing. Mr. James Harvey with his wife and three daughters was driving home from church Sunday last in a cart in which was attached to 2 ponies. The traces broke and the animals bolted, the girls jumped out but Mrs Harvey was thrown out and was badly bruised. The horses eventually pulled up before any further damage was done. Rosa May was the third baby born in November 1887, followed 17 months later by Maida Lillian on 1st April, 1889, and yet another daughter, Ella Mary on 15th December, 1890, again 17 months later. Five daughters in five years. A break of 15 months and then at last a son, James Francis (Frank), was born on 28th December, 1891. Twenty-two months later little Nellie was born on 13th October, 1893, but she died only one month later on 16th November. Another twelve months and Percy Alexander was born on 29th October, 1894. After a record break of 25 months a third son, Edward Thomas (Ted) was born on 24th November, 1896; finally the 10th child, Edith Florence was born on 11 March, 1898, by which time Martha was 431/2 years old and had born 10 babies in 12 years. Their three sons - James Francis (1892), Percy Alexander (1895) and Edward Thomas (1897) were all farmers when they enlisted in World War 1. James enlisted September 1914, joining the 3rd Field Ambulance Brigade and was wounded in October 1917. Edward enlisted July 1915, joining 1st Australian Division Armoured Column as a driver and gunner, was court-marshalled for refusing lawful order and also charged with being drunk in public. Percy served in the 3rd Light Horse in the Middle battles with his cousin Norman. He was wounded at El Arish. James and Edward returned to the land after the war. The six daughters became nurses and school teachers and Nellie died shortly after her birth in 1896. James is reported to have worked very hard at Beresford, but they did not prosper as they had done on the pig farm, partly due to repeated flooding problems on the farm and in 1900, after two consecutive seasons of disastrous floods, they 'walked off the property and moved to West Pine where they lived for 10 years before moving to West Kentish where they remained for 22 years. In his later years James' health deteriorated and he began to lose his memory. 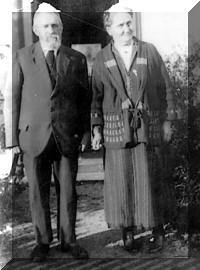 In 1932 James and Martha retired from farming to live in a cottage in Barrack Street, Deloraine. Despite his failing memory James did lots of jobs such as milking, chopping wood and gardening for his daughters at the private hospital further up Barrack Street. With Martha's help he also maintained a beautifully kept flower garden and a fine vegetable garden at the back of the cottage. Sadly his deterioration was rapid and he died on 1st July, 1933 at the age of 77. The funeral of Mr. James Harvey of Barrack Street, Deloraine took place yesterday afternoon in the general cemetery. 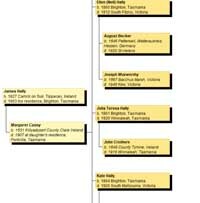 Mr. Harvey was a native of Scotland and came to Tasmania in 1860, he married a daughter of the late Michael Walker of Exton, and settled in the Deloraine district, where he took up farming, retiring on account of failing health some years ago. He took a keen interest in the work of the Methodist Church and at the age of 27 he took up local preaching, which he carried on for a number of years. He leaves a wife, three sons and six daughters. The carriers were Messrs. F. and P. Harvey (sons) F. Cairns, and A. Howell (sons-in-laws). Chief mourners were Messrs. Frank, Percy, and Edward Harvey (sons), Misses Margaret and Jean Harvey, Mrs. A. Howell (Deloraine), Mrs. Cairns (Cairns Bay), Mrs. 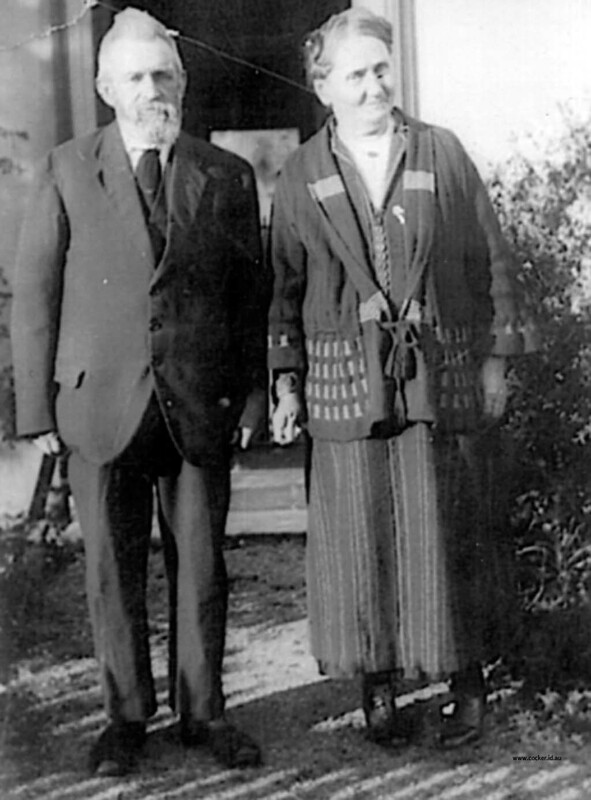 Priest (Burnie) and daughter Ella of Hobart. A service was held at the house and was conducted by the Rev. R. H. James of Westbury, who also conducted the service at the graveside. The funeral arrangements were carried out by J. Cameron. Martha is described as being of average height and although pigeon-toed, a regal bearing made her appear taller. Those who knew her speak of her as a wonderful Christian lady, most humane and dignified, a loyal wife and mother who was a most capable manager and a woman of great warmth, generosity and integrity who was always neat and well-groomed, even in later life. She had a very strong faith and attended church regularly, still, even in her 80's, walking, in fine weather, to the Methodist Church. When unable to attend church she would listen to the radio service, singing along with the hymns and joining in the prayers. 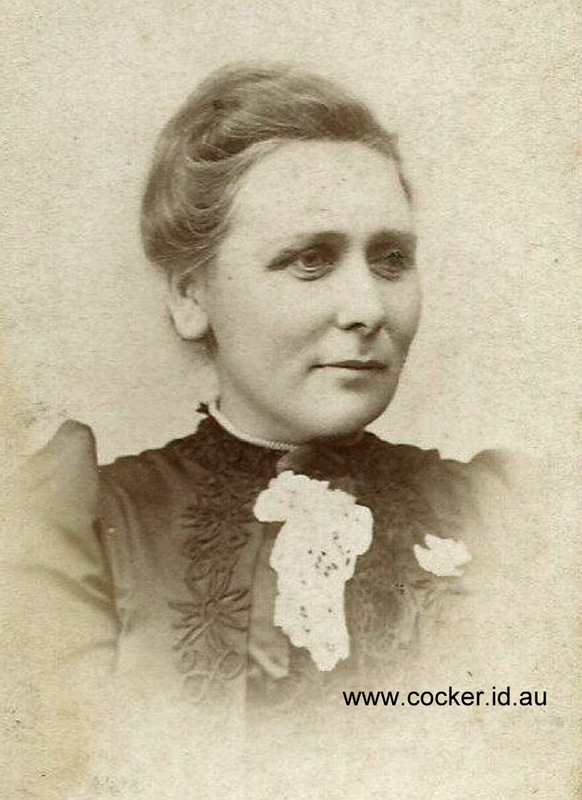 Her granddaughter, Lucy Cairns, lived with her in Barrack Street for six months until Martha's move to Devonport to live with her daughter Rosa. Though then in her 80's, Martha had a very clear mind and although going blind took a keen interest in all current affairs, listening to her wireless and enjoying having the newspaper read to her. The cricket series in England was of great interest to her, as was the news surrounding the abdication of King Edward VIII, which she found most shocking. Martha's grandchildren, 12 girls and four boys, remember her as a very kind and gentle lady, although she seemed a little old lady to them, being 62 when the first was born, and was in her 80's by the time the youngest arrived. Of her 12 granddaughters four became teachers and four qualified nurses. It was a great sadness to her when in 1938, her beloved son Percy, with whom she had a very special rapport, died after a very brief illness when only 43. She herself died at Devonport only a little over a year later on 6th December 1939 at the age of 85. 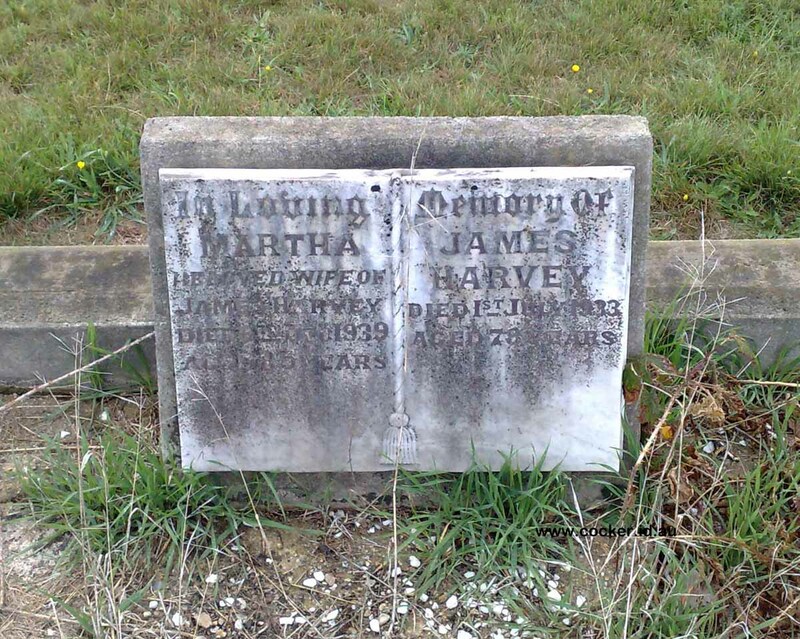 Of Martha and James ten children only six married and produced 12 granddaughters and 4 grandsons. Perhaps the strong Walker influence is characterised in the preponderance of females but however that may be, Martha Walker's descendants can thankfully acknowledge whatever qualities of gentle strength and quiet dependability and endurance they may have inherited from her. We know her to be a forebear to whose memory we rightly pay loving and deeply respectful homage.